Scott Sweet is a lifetime resident of the Dallas area. He and Cathy have been married for 26 years and have two beautiful daughters that, thankfully, take after their mother. Scott's hobbies include rooting for his alma mater, doing color commentary for the Plano West Varsity Football team, losing balls of the golf course, and learning. Scott enjoys the time he spends each week acting, teaching and ministering children at his church youth center. He previously coached his daughters' soccer team to back-to-back league championships and helped coach them to softball championships as well. Now he spends most weekends in the stands watching both girls perform as cheerleaders for their respective schools. He also does color commentary for the Plano West Varsity Football team which streams live on the internet. He has also been an active volunteer with ChildrensÂ´ Medical Center of Dallas, and served as the Sponsor Chairman for the Annual Chip Moody Auction Classic and Golf Tournament for two years. Scott has been involved with the TeamConnor Charity Golf and Auction event which raises money for pediatric cancer research. Scott has been inducted as a lifetime PTA member, and has instituted a dads group at his local elementary and middle schools, Watch D.O.G.S. (Dads Of Great Students) where dads volunteer a full day of their time to the school once a year. He was also involved for many years with both daughters in the local Y Princess chapter. He and his family are also sponsors of an orphan child from Uganda through the Compassion International program. 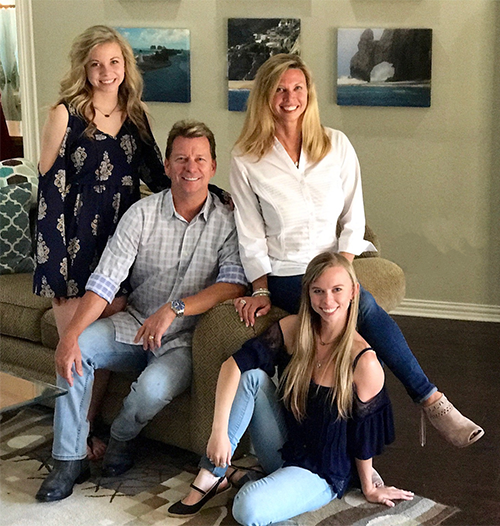 Scott and Cathy have started a charitable fund, The Sweet Life Fund, dedicated to helping needy children and their families through medical crisis. Through this fund, they have also established the Scott and Cathy Sweet Endowment at Parkland Hospital in Dallas to benefit Parkland's Burn Camp which provides rehabilitation and recovery for those suffering from traumatic burns.